Each investment is made to generate an attractive financial return and meaningful development impact. 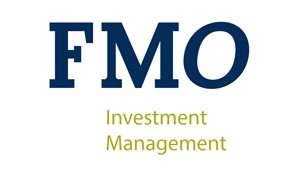 FMO Investment Management provides access to investments made alongside FMO. 01 Forced labour or child labour. Forced labour means all work or service, not voluntarily performed, that is extracted from an individual under threat of force or penalty as defined by ILO conventions. Persons may only be employes if they are at least 14 years old, as defined in the ILO Fundamental Human Rights Conventions (Minimum Age Convention C138, Art. 2), unless local legislation specifies compulsory school attendance or the minimum age for working. In such cases the higher age shall apply. Unsustainable fishing methods (e.g., blast fishing and drift net fishing in the marine environment using nets in excess of 2.5 km in length). 03 Cross-border trade in waste and waste products, unless compliant with the Basel Convention and the underlying regulations. 04 Destruction of High Conservation Value areas. Destruction means the (1) elimination or severe diminution of the integrity of an area caused by a major, long-term change in land or water use or (2) modification of a habitat in such a way that the area’s ability to maintain its role is lost. 05 Radioactive materials and unbounded asbestos fibers. This does not apply to the purchase of medical equipment, quality control (measurement) equipment or any other equipment where the radioactive source is understood to be trivial and/or adequately shielded. 07 Racist and anti-democratic media. 08 In the event that any of the following products form a substantial part of a company’s primary operations, or a financial institution, investment fund or company’s financed business activities. gambling, casinos and equivalent enterprises. "Substantial" means more than 10 % of a financed institution’s/company’s consolidated balance sheet or earnings. For Financial Institutions, "Substantial" means more than 10% of a Financial Institution’s underlying portfolio volume.